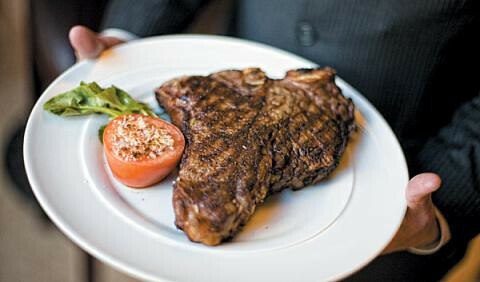 All you need with this perfect porterhouse is olive oil, steak seasoning, hot charcoal, and a little meat tenderizer. Serves 2. Place steak on a plate and coat lightly with olive oil. Rub steak with meat tenderizer. Sprinkle steak with salt and pepper and gently rub into steak. Cover with plastic wrap and let stand for 20 minutes. When grill is hot, lightly oil the grate. Unwrap the steaks and grill on open flame or charcoal grill for 3 to 5 minutes per side or to desired doneness. Baste with melted butter while cooking.